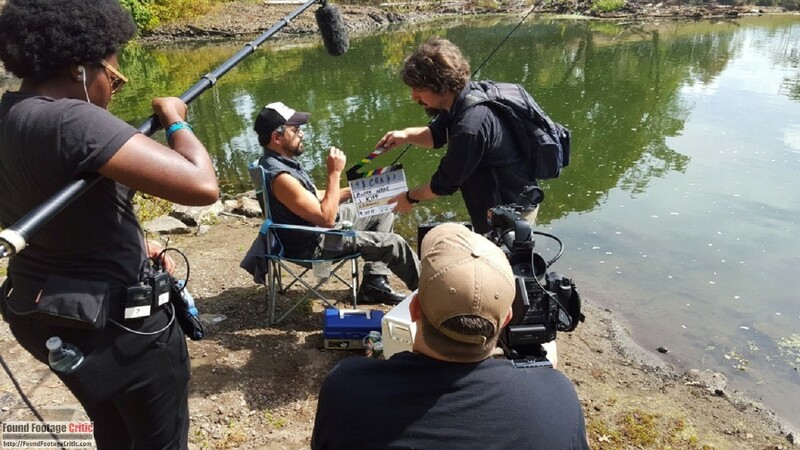 In our second round of articles related to the highly anticipated found footage sci-fi/horror film, Black Wake (2016) I had a rare opportunity to sit with Director Jeremiah Kipp and discuss Black Wake and hear his thoughts on the found footage genre. Found Footage Critic: How did you come to be involved in Black Wake and with writer Jerry Janda? Jeremiah Kipp: I directed a short film called Painkiller, not a found footage film, but a “David Cronenberg style, parasites taking people over story,” in a similar vein to Black Wake. Jerry Janda wrote that, I directed it, we shot it, and it’s been playing at film festivals. You have to understand how Jerry Janda’s mind works, he’s a very straight laced guy and a little like David Lynch in the sense that he’s a very proper individual. He was sitting on the beach one day looking over the water and what he’s imagining is a giant elder god HP Lovecraft monster like Cthulhu coming up out of the sea, and then he put it all together and said, “found footage, beach, HP Lovecraft, elder gods, parasites,” and then he came up with the idea for Black Wake and he started writing. The script existed before we knew it was going to be made, but it was one of those fortuitous things where he wrote it late last year and then once [Executive Producer] Carlos Keyes read it he said Nana Gouvea would be great for the lead role. Found Footage Critic: What are your favorite three Found Footage films and why? Jeremiah Kipp: Blair Witch is the classic. You really can’t underestimate how unnerving that film is. It’s not just the originality of the concept, the entire mythology of the Blair Witch was creepy and the way they marketed the movie and played up the myth of the Blair Witch was really smart, and they had a brilliant website. By the time you walked into the movie, you had “anticipation” for it. So Blair Witch is up there. Weirdly, Cloverfield is up there, which I don’t think everybody likes, but there’s something about the energy and apocalyptic feel to that movie that I really enjoyed – “the on the streets while the world was falling apart kind of quality.” I don’t love everything about the film. It creates some of those questions as to why they don’t shut the camera and run for it, but the creature itself was pretty interesting and the situation was compelling. And then [REC] is another gold standard where I just think it really created a lot of interesting ways to do scares within a found footage film to the point where a lot of films, whether they know it or not, are pulling stuff from that style or [REC] itself. Found Footage Critic: How did you prepare for directing Black Wake? Jeremiah Kipp: I watched a lot of documentaries while I was preparing for Black Wake because of the found footage medium. There are so many ways found footage has been done. I watched a lot of documentaries by a director named Errol Morris, who made these documentaries that were very cinematic and really strong. His work gave me an idea that I don’t think people have done in the found footage medium yet. The documentarian Errol Morris shoots everything on high resolution cameras so he can punch into details whenever he feels like it, which is revolutionizing the form of documentaries. I’m going to incorporate that technique into Black Wake to make the film feel more cinematic and pull the viewer into certain moments that I want to cover. 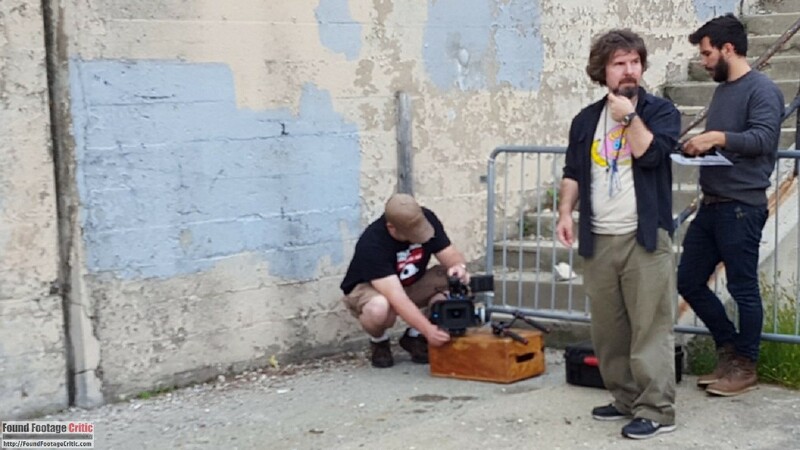 Found Footage Critic: How do find working on a Found Footage film? Jeremiah Kipp: As we’ve been creating found footage, I’ve really enjoyed it because I think it lends itself to some really daring work. 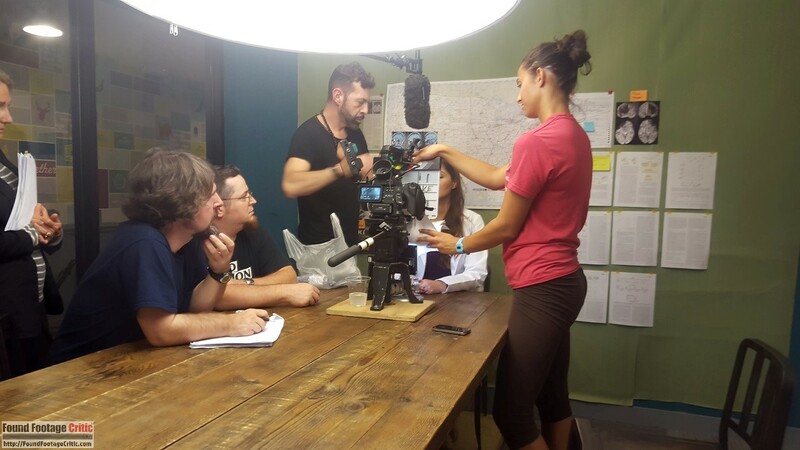 In found footage we’re not simply shooting like “alright, here’s our wide shot, here’s our medium shot, here’s our close-up” – we’re right there in the moment filming it and I found that to be really exciting. It feels like I’m right in the middle of the terrifying action while it’s happening. Found Footage Critic: I’ve been exposed to over 500 found footage films, and have spoken to a myriad of different people involved in cinema, from filmmakers to the average viewer. One of the biggest criticisms I’ve come across related to found footage films is the “filming reason.” That is, the reason as to why a feature length’s worth of footage is captured. How are you specifically addressing this concern on Black Wake?? Jeremiah Kipp: The structure of our story is more like World War Z. I haven’t seen the film, but I know in the book it’s structured as a series of mini episodes reported by various people. For Black Wake, the people documenting the event are scientists and detectives, and these people are trying to create a record of what’s going on much like HP Lovecraft’s characters. In preparation, I also reread the HP Lovecraft stories. These characters are trying to document everything they’ve seen because nobody has seen it before – “We’re scientists and we have to study this thing, we have to examine it, and find out what’s happening.” To this end, the team of scientists and detectives in our story help motivate the need to capture information and then send it back to the lab so they could figure out what to do with it. So it’s not just like “Oh wow, my girlfriend is getting killed, let me film it.” It’s like they are trying to figure out how these monsters work and trying to get information back to the lab so they could deduce exactly what’s happening. My gut instinct is continually telling me that if it ever feels like there was a reason for the camera to cut, then I would cut or stop filming or simply get the characters out of there. If the girlfriend is getting attacked, the guy is going to run in and save her. So we’ve had moments like that. Found Footage Critic: Another aspect of found footage films that is heavily scrutinized is the cinematography. That is, making sure all the cameras in the film have a known source. 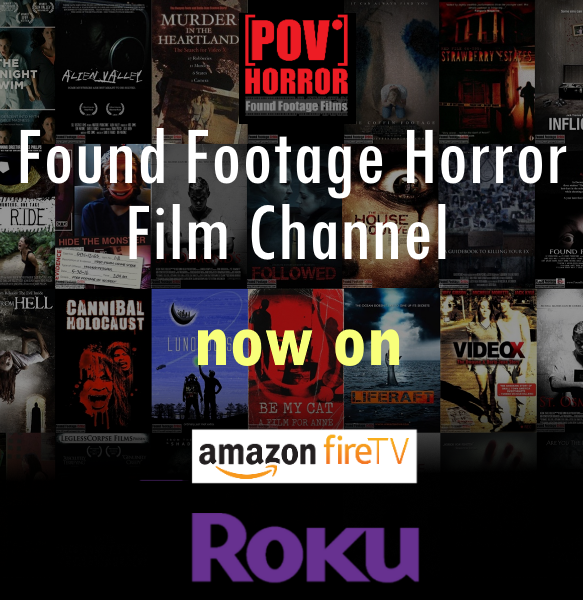 If seen plenty of found footage films where the first 90 minutes are pure found footage and then for no particular reason a POV comes in from an unknown camera source. That single narrative scene, as brief as it may be can destroy the illusion of reality established by the film. I feel like filmmakers set themselves up for failure when this happens. Jeremiah Kipp: Those are questions you don’t ask yourself when you’re on a film that’s not found footage. 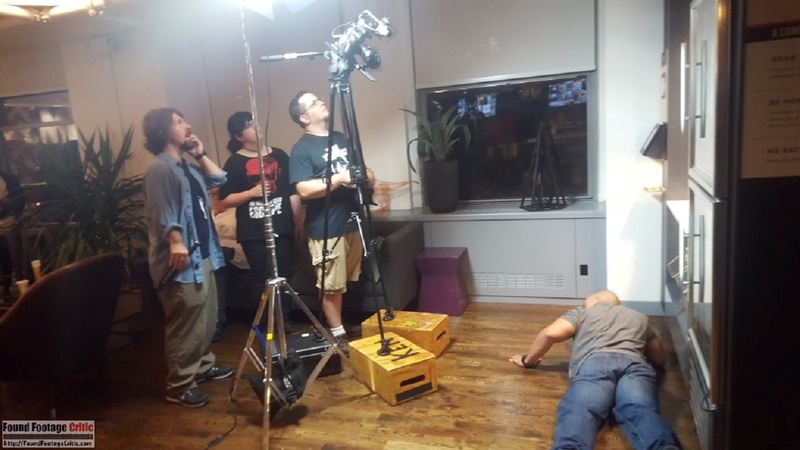 On a found footage movie, you have to continually ask yourself, “Whose behind the camera? Why is the camera there? What justification do we have for the camera being there?” And if we don’t have justification for it, then we can’t use it, and we have to come up with another creative solution for it. It’s a struggle. Thankfully, Jerry Janda wrote a script that kind of builds some of that into the writing. Jerry Janda always knew where the camera was and he often specified the location in the script, like “this is being filmed from a surveillance camera” or “the boyfriend is operating the camera in the shot,”, so that was something Jerry tracked and was really quite religious about and that helped us stay on track. The Director of Photography and I have continually asked “Who is operating the camera?” and “Why is the camera here?” It’s a fundamental question in found footage movies. Found Footage Critic: What are your thoughts on incidental music in a found footage film? 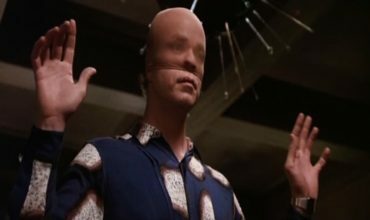 Jeremiah Kipp: I think that begs the question as to who edited the film and what is the reason for the incidental music. 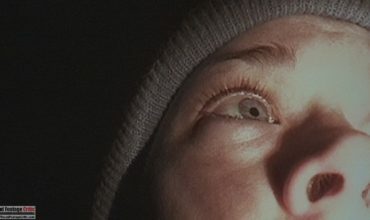 I think that Blair Witch was pretty exciting because there wasn’t any incidental music; I think it was just the sound of the woods and it made the movie particularly scary. I think incidental music is a tricky proposition in the found footage genre because it raises questions. “Who put the music in there? What is the music doing there? Who is editing the found footage? Why are they trying to scare us with this music?” So those questions exist. Lately in narrative films that I’ve been doing, I’ve been experimenting with pulling music out and using sound design in a musical way to suggest an atmosphere. So with my films Minions and Painkiller we had no actual score. We employed layers upon layers of sound design that created a world around our characters. I suspect we’ll use something similar in Black Wake, where it won’t be like the John Williams Orchestra in Jaws coming in, it will be more like the use of sound design to create the feeling of tension or dread or silence – silence can feel like an ambush. We can create a “musical atmosphere” through naturalistic heightened sound design, and the viewer might not even recognize that we’re generating tension through it. The sound would reside as a subtle underpinning to the scene. 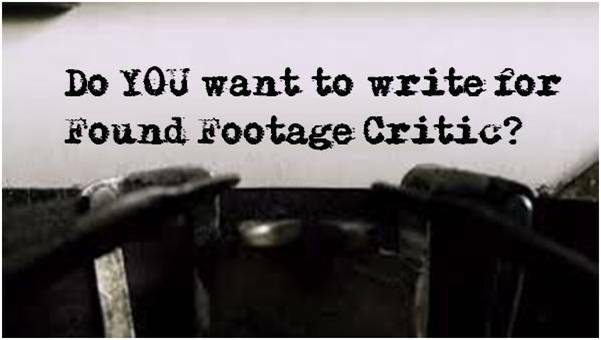 Found Footage Critic: Non filmmakers say found footage movies are simple and cheap to produce. Experienced directors say that filming in found footage is much more challenging than traditional narrative. Found footage is way more challenging. 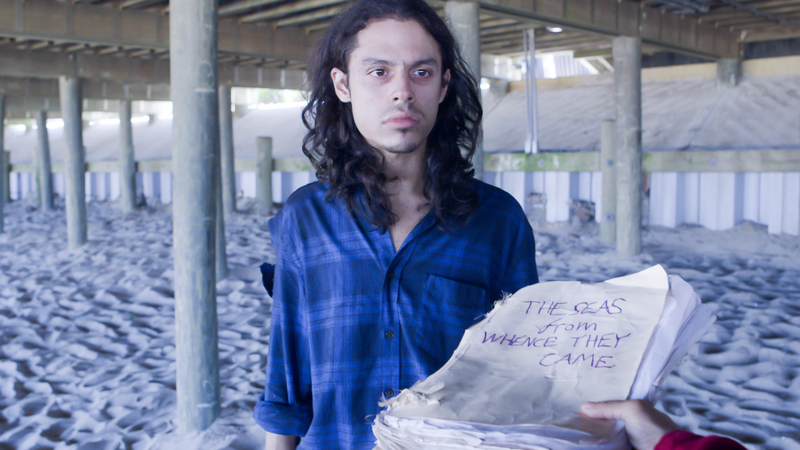 Directing a found footage movie is far more complicated than directing a traditional narrative. With a narrative you don’t have to justify anything, you put the camera in the best position to tell the story and that always motivates where the camera is located. At its best, completing a found footage scene feels like you’ve solved a puzzle. At worst, you feel like you’re trapped in a labyrinth, where you’re trying to figure out a fresh way of putting something onscreen. 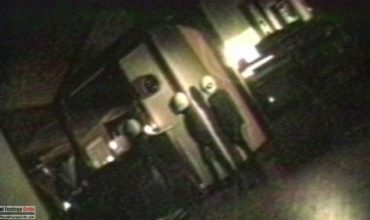 When you watch found footage movies, you see them relying on certain techniques, like the camera falling to the ground and then someone gets yanked out of frame – and I love that shot. I think it’s really exciting and I confess that we use that ourselves. I compare found footage to the slasher films of the 1980s, where the question was often asked, “What can we do to make the slasher film feel slightly different?” With found footage I think it’s the same conundrum. 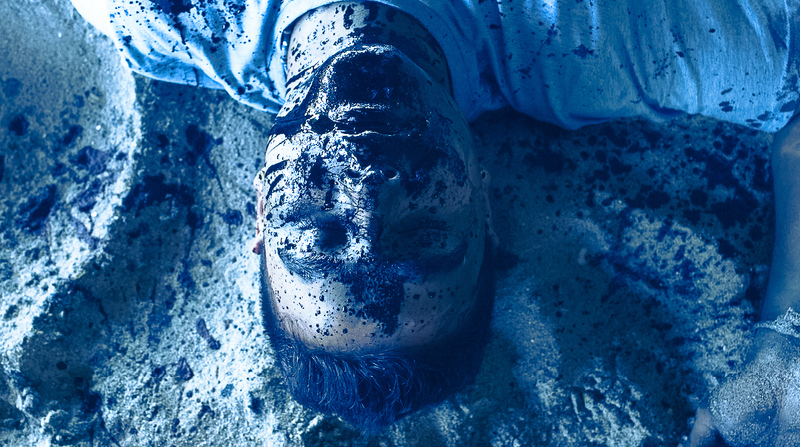 We know the tropes of the sub-genre, so now we have to figure out how to play with that and make found footage exciting and come up with a fresh new angle, or put the camera in a position where it hasn’t been seen before for a new kind of scare. So, I was pretty happy with our “the camera falls on the ground and our character gets yanked away shot.” When I originally conceived of it in my head it was pretty much exactly what we’ve seen several times before. There’s a scene on a boat – if we try it this way and use the actor in that way, it will feel different in the way the shot was done before. But those are questions we have to continually ask ourselves. I’m sure when they made Halloween, Friday the 13th, and Prom Night, directors asked themselves “How do we make a slasher movie? With found footage, we’re just dealing with a new twenty-first century form of filmmaking. Or another way of framing it is how do we find fresh new ways of approaching this technological nightmare, but as Sean Connery said in the Untouchables, “the lord hates a coward,” so we find our way. FoundFootageCritic: Is there a correlation between found footage film quality and budget? If we compare low budget, mid-range, and mega-budget films, many filmmakers and fans feel the smaller budget films cheapen the playing field and the mega-budget films are too polished. Jeremiah Kipp: Well, I will say this; I think a lot of people make found footage movies because it’s cheap. In theory people think, “oh, we just need a camera, it doesn’t matter if the camera works crappy or the lighting is bad,” and you think you can go out and make something for $100. I think that cheapness pervades the movie and winds up feeling unimaginative and can very quickly delve into sloppiness. The flip side of the coin, and my resistance to Cloverfield, is that it’s a mega-budget found footage movie and I really don’t like that part of it because it feels glossy in places when I feel it should be rougher around the edges. I think that’s a big problem with Cloverfield. Found Footage Critic: Most people I’ve spoken with in and out of the industry feel that practical effects are much better suited to found footage than CGI. What are your thoughts? Jeremiah Kipp: Practical should ALWAYS be your first go-to. Rob Bottin did the special effects in the 1982 version of “The Thing” and it still holds up today. You look at that movie and it’s extraordinary. “The Thing” prequel in 2011 has a much bigger budget and the CGI in that movie looked so lame and they spent so much more for it. Found Footage Critic: The filmmakers originally filmed The Thing (2011) using practical effects and moved over to CGI. Have you seen the original raw footage with the practical effects? It looks amazing. Jeremiah Kipp: It looks so much better as practical. One of these days they have to re-release the film with just the practical effects and it will be night and day. The movie will be 90% improved. It will still have problems, but all those creature effects will be the way that I think the department intended them to be. It’s really unfortunate. They really messed up that movie. Found Footage Critic: Back to found Footage, Always Practical Effects? Jeremiah Kipp: But yeah, with found footage, my recommendation is to always go to the practical first, ALWAYS. The practical will always look better than CGI. And then if you have to have CGI, build it on top of a practical effect so it’s coming from a reality. And then when all else fails then you can go for CGI. We have a big monster in our movie that we can’t to with a sock puppet and a dream. So we’re looking at a lot of reference pictures and practical ideas. But practical ALL DAY, EVERYDAY, AS MUCH AS POSSIBLE. Found Footage Critic: What are your thoughts in casting known versus unknown actors in a Found Footage film to keep the illusion going? Jeremiah Kipp: I’m for it. One of the great things about Blair Witch is that we didn’t know who those guys where. I keep going back to Blair Witch because for the first audience, it’s just three kids going out into the woods and they didn’t know Josh and Heather were actors. The audience thought of them as “Josh” and “Heather” the filmmakers making this movie. In our movie we do have named actors. We have Tom Sizemore playing the expert and we trust Tom. He stormed the beaches of Normandy (Saving Private Ryan). Tom is a great actor and fell into the fabric of this movie. He didn’t play it like a movie star in a movie, he played it as if he was one of the many in the scene, and that was something I really admired about him as an actor. In Black Wake, we use our known actors sparingly and I felt they understood the movie they were in. They didn’t try to make it a showboating scene. They were there for the movie. Found Footage Critic: The big question, would you consider making another found footage film after finishing up on Black Wake? 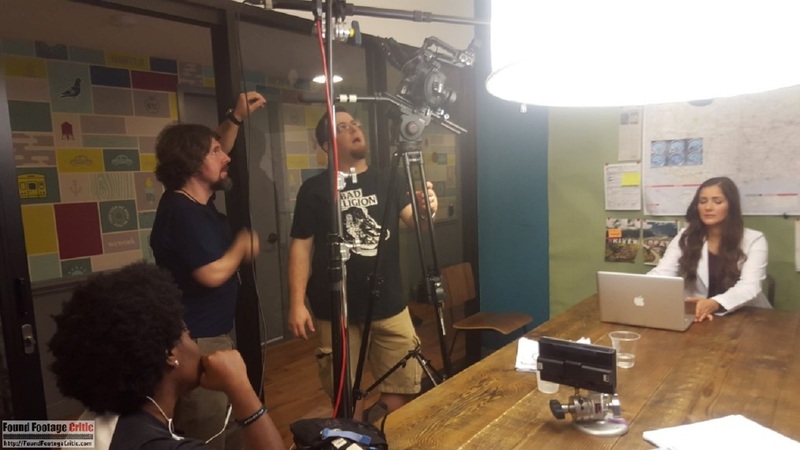 Jeremiah Kipp: If you had asked me this question at the beginning of the shoot, I’d say “no.” On day-one and two of the shoot I was like, “Oh my gosh, we have another two weeks of this? This is really exhausting.” Having gone through the process and now that we’re almost done with Black Wake, I think I would go for it again and see how can I dare myself to go even further with the found footage genre next time. 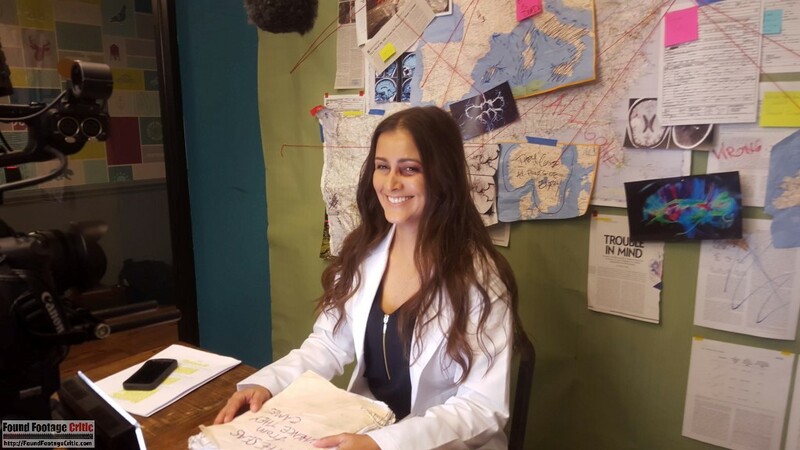 EXCLUSIVE Interview with NANA GOUVEA: Zombie Hunter in BLACK WAKE!